Could pound/Euro rates be about to fall? By midnight tonight, Greece has to submit its plans and new proposals to its creditors to try and secure a bailout and prevent a possible exit from the Eurozone. What they submit will then be looked at by EU Finance ministers at the weekend, and a decision is likely to be taken on whether to accept them at an EU Summit on Sunday. Greece needs to make a deal. At the moment the banks there are still closed, and a €60.00 limit on ATM withdrawals. At this rate, it’s likely the banks will run out of money by Monday, so it really is crunch time for the Greeks. With the referendum out of the way, I think it’s quite likely that Greece will now soften its demands. They really have taken the negotiations as far as then can, and they know it’s in their interests to now make a deal to restructure its debt. EU leaders are almost out of patience, Greece knows this, and so a deal could be struck this weekend. What could this mean for Sterling/Euro exchange rates? I am still of the view that a deal will be done and Greece will remain within the Eurozone. If a deal is indeed done to restructure Greece’s debts this weekend, then it will remove much of the uncertainty that has been weakening the Euro of late, and so in this eventuality I would expect Pound/Euro rates to fall. We’ve already seen it drop down to €1.39 as investors await news of a potential bail out deal, and I would expect a further fall should the saga finally be resolved. 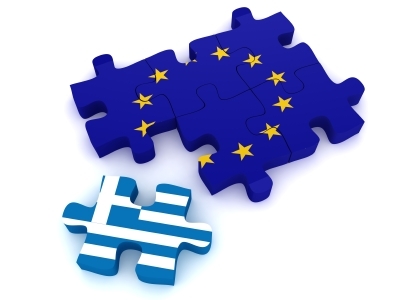 The other scenario is Greece rejecting whatever solutions the EU Summit present. If this were to happen, then the negotiations could break down entirely. There isn’t actually a mechanism in place for Greece to leave the Euro, so all parties know that the only real solution is a deal. Do you have a currency transaction to perform? For those that need to buy Euros and are worried about rates dropping from the current level, you can reserve the current rate now and only lodge a 10% deposit to guarantee that rate for up to 2 years into the future. In this way you can budget effectively and be protected against the rate falling away from the current level which is near to an 8 year high. Click here to find out more. ← Why has Pound/Euro dropped to €1.39?